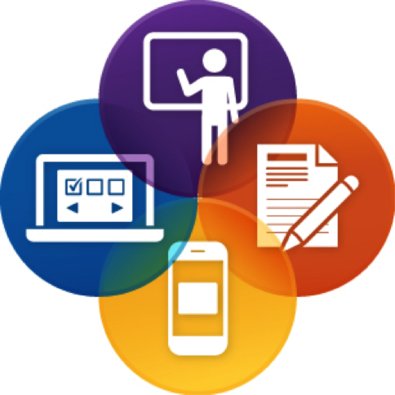 How can blended learning help teachers personalize the education experience for every student? Lately, it seems like more and more educators and education innovators are talking about the concept of blended learning: a blend of traditional and virtual learning to give students learning opportunities and experiences they did not have before. I’ve also been thinking about how blended learning can help personalize the education experience for every student. In my own practice, this means using the Teach to One: Math program, which goes by the name School of One in New York City. Teach to One is a comprehensive personalized instruction model with an online portal and assessment system. What makes Teach to One so powerful are the algorithms that enable teachers to personalize learning for every student. Teach to One assesses student learning and groups students based on the skills they are ready to learn, and recommends a lesson to help them learn that skill, how they’ll learn that skill, the location in the learning center they’ll work, and with which teacher and other students they’ll study. Students might study the skill in a teacher-delivered lesson, collaborating with a small group of students, one-on-one, or independently. All of this complex choreography is based on students’ performance and is updated every day. Like the students, I also get a new teaching assignment every day, so I have to stay as sharp as they do. Teach to One‘s technology allows me to work smarter and target my skills so that I have the most impact on students. Instead of teaching one skill to a class of 30 students who are all learning at different paces, Teach to One will assign me to teach a lesson to a group of 10 students who all need a lesson in that particular skill while my colleagues (there are five of them) teach other targeted lessons. Teach to One can assign me and the students one of seven possible learning modalities (five of which are built around teacher-student interaction). It creates different student groupings every day to meet students where they are on their own individualized learning path. Its system allows students to progress at their own pace and truly learn for mastery. It makes a lot of sense, and because of it, student engagement is through the roof. Students who have gaps in their learning from previous years catch up faster than I ever thought they would. My data show that the lowest performing students are actually making the biggest gains. Students who were behind in past years apparently just needed some extra time on these skills for whatever reason, and a blended model like Teach to Oneprovides these individualized opportunities to my 300 students every day. How do I setup my own blended classroom? Which technological tools are effective and which are not? Do I have to set up the entire system myself or can I use a platform like Teach to One? What will the culture in my blended classroom be like? What is my role as the teacher in a blended classroom? How do I maintain a strong bond with students in a more tech-focused environment? These are hard questions. But from my own experience, missteps, and work with other colleagues who are also blending their classroom, I have found some strategies that work. My blended classroom is set up differently from my traditional one yet some of the basics of any classroom – strong culture and strong instruction – are still at the core. But it wasn’t without a lot of experimentation and miscues along the way. This year, I’ve tried to tackle more of these questions with colleagues through a fellowship at BetterLesson. In case you don’t know BetterLesson, it has, for the last 5 years, recruited “Master Teachers” from around the country to share best practices in every area and grade level of teaching in a well-curated format. This year, BetterLesson recruited 11 of us blended teachers from around the country to showcase some best practices in blended learning because, well, it doesn’t exist anywhere else! If you want to start blending your classroom and are looking for some good strategies and tips, check out all of the great resources from teachers of all subjects and age groups at http://betterlesson.com/blended.